My eldest daughter wanted me to make the boys aprons of their own. I chose some fabrics and photographed them and this one is the one that Luc chose. This frog fabric has been on my shelves since my children were little. Laila chose this for Patric. Ducks and frogs. I hope they fit. 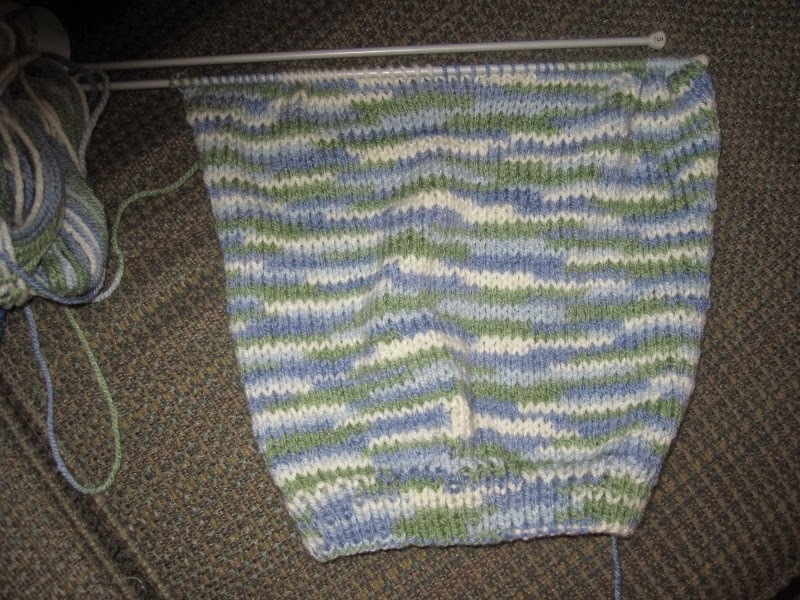 I'm almost finished the front of Patric's sweater. Looks like it'll be done for the second Christmas when the little boys will be here. There's still more sewing on my list but this is the end for 2014. I hope you all enjoy good health and happiness in 2015. A happy new year to you and all your family! Gotta love those frogs. They made me smile. Happy New Year. 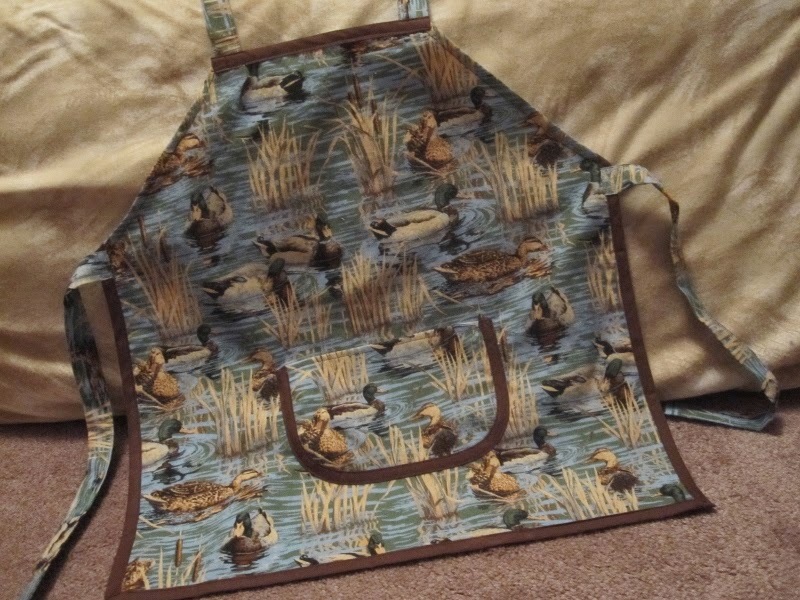 That duck fabric looks very familiar. Have you had it for a while? It's very similar (if not the same) to a fabric I used for backing on a quilt which we gave to my father-in-law many years ago. Happy new year to you as well! 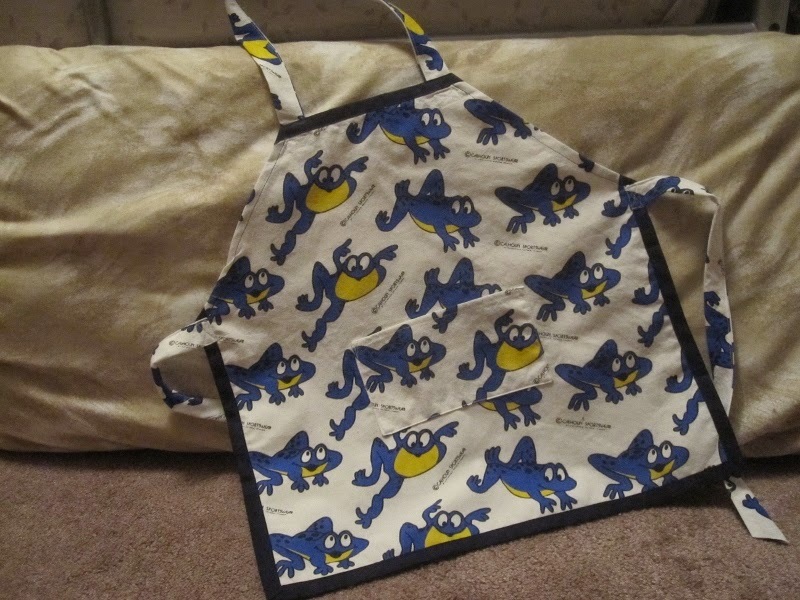 I think there will be a couple of happy little boys with their aprons...hopefully there will be lots of baking sessions and probably some crafting too. How could there not? It's in their genes! 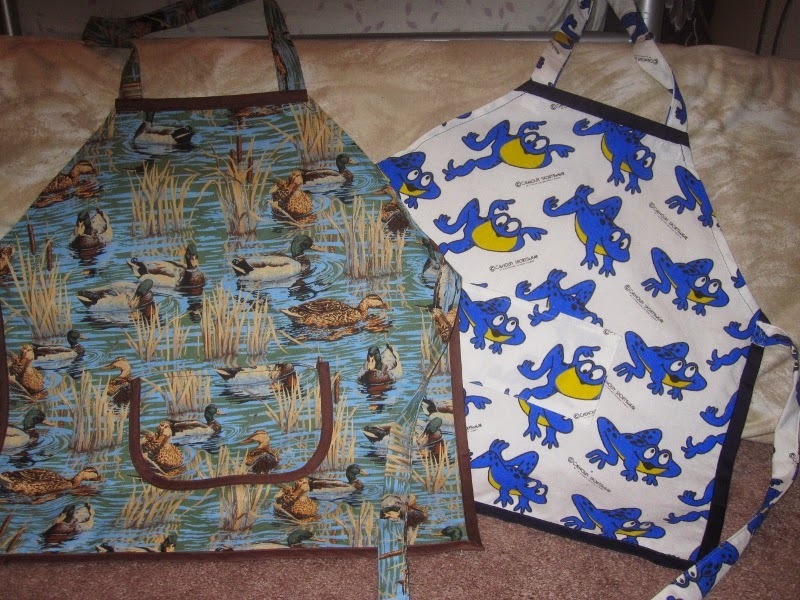 Really cute aprons, Dolores! Happy New Year!